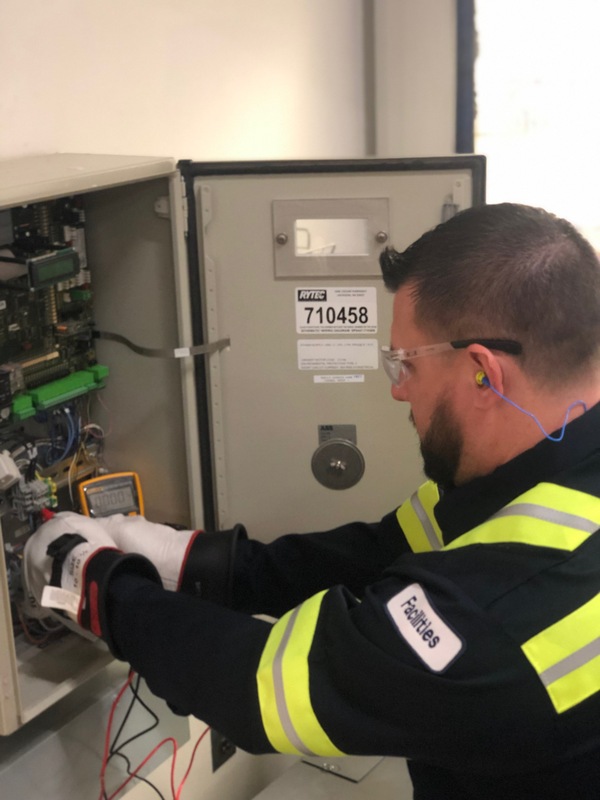 Qualified electrical worker training is required by the Occupational Safety and Health Administration (OSHA) and NFPA70E for anyone working on or near energized equipment greater than 50 volts. Employing qualified personnel will reduce the company’s liability, lost time injuries, death and costly OSHA citations. Qualified electrical work training students will be trained, tested, documented and certified in all the requirements necessary to be deemed qualified by the employer. Electrical Safety Specialists will send a trainer to conduct on-site training for qualified electrical worker training personnel on OSHA, NFPA70E, Institute of Electrical and Electronics Engineers (IEEE) 1584, NFPA70, and American National Standards Institute (ANSI), combined with individualized hands on exercises in proficiency of skills and a written exam. Qualified electrical worker training participants will receive a folder containing Certificate of Achievement, training summary, along with written and photo documentation of proficiency for employer’s permanent records as required by OSHA. ESS’s qualified electrical training course includes: an introduction to NFPA 70E, standards and intent, changes for 2018, NEC article 110.16, shock hazards, arc flash/blast hazards, and more. The course covers personal protective equipment (PPE) requirements. PPE refers to protective clothing, voltage rated glove, face shields , or other equipment designed to protect the wearer’s body from injury or 3rd degree burns. The hazards addressed by protective equipment shock and arc flash/blast. Hazard risk assessment is also part of the course taught by Electricity Safety Specialists. One of the “root causes” of workplace injuries, illnesses, and incidents is the failure to identify or recognize hazards that are present, or that could have been anticipated. A critical element of any effective safety and health program is a proactive, ongoing process to identify and assess such hazards. · Collect and review information about the hazards present or likely to be present in the workplace. · Conduct initial and periodic workplace inspections of the workplace to identify new or recurring hazards. · Investigate injuries, illnesses, incidents, and close calls/near misses to determine the underlying hazards, their causes, and safety and health program shortcomings. · Group similar incidents and identify trends in injuries, illnesses, and hazards reported. · Consider hazards associated with emergency or non-routine situations. · Determine the severity and likelihood of incidents that could result for each hazard identified and use this information to prioritize corrective actions. For more information about qualified electrical worker training, call ESS at (816) 925-0443.